THE TYPHOON IS HOT NEWS from Airfix, which has flagged the on-sale date for this mouthwatering kit as July 21. 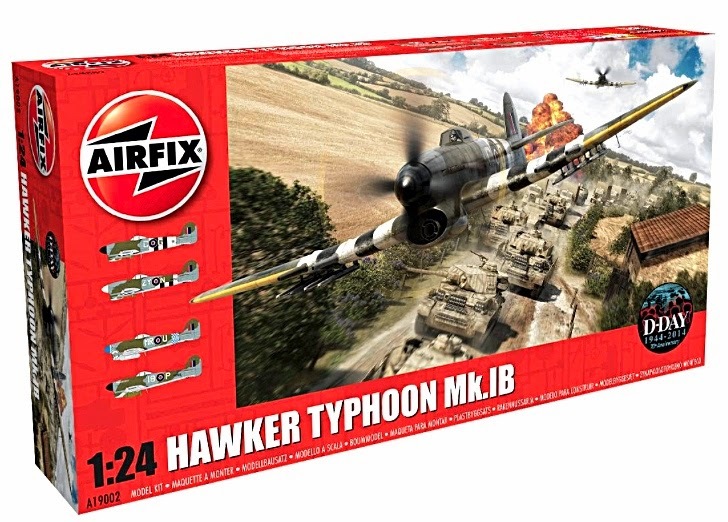 Good for you, Airfix - we're looking forward to opening up that big box and ogling the parts inside. SMN report: We've seen the test shots and the assembled aircraft on show stands, and now it's our turn for the finished thing. Apart from anything else, it's so good to have another addition to the thinnish ranks of models in this uber-large scale. 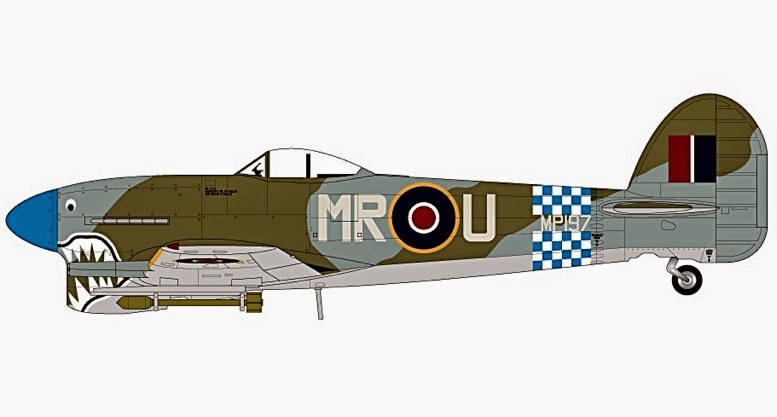 The Airfix Typhoon 1b comes with a variety of marking options, one of which is shown (above) and they make interesting alternatives. It's likely that an entire sub-industry will grow around this kit, providing super-detail options, and - our request - a decent range of scale figures, including a squadron mascot please, perhaps a dog or goat. 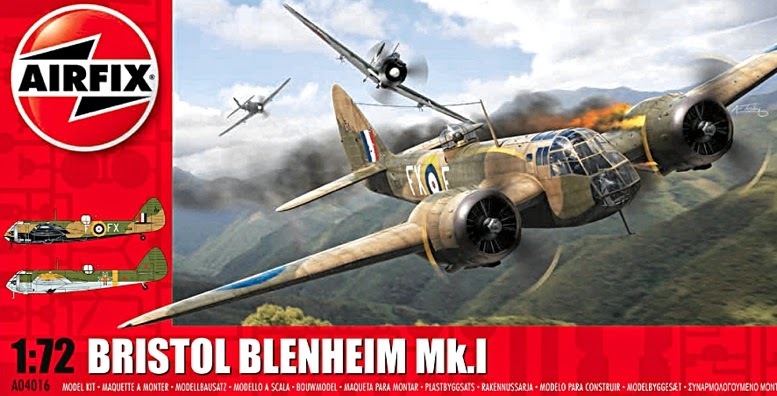 Also hot from Airfix is the Bristol Blenheim, a kit made to the much smaller 1:72 scale. The box-art depicts a Blenheim catching bullets from a Japanese Zero, as happened in the Far East before the fall of Singapore, in World War II. To be honest, the Blenheim is not really our favourite aircraft - the airframe design lacks the sort of visual oomph shown by other twin-engine aircraft such as the B-25 or Bf 110. Even so, the Bristol Blenheim is a useful kit to have, as it makes a useful gap-filler deserving of a place in any model aircraft collection from this era. More details from Airfix here.